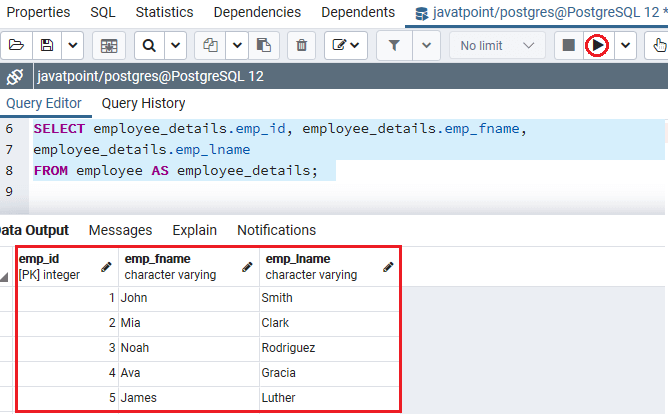 PostgreSQL Aliases are used to provide temporary names for columns or tables. 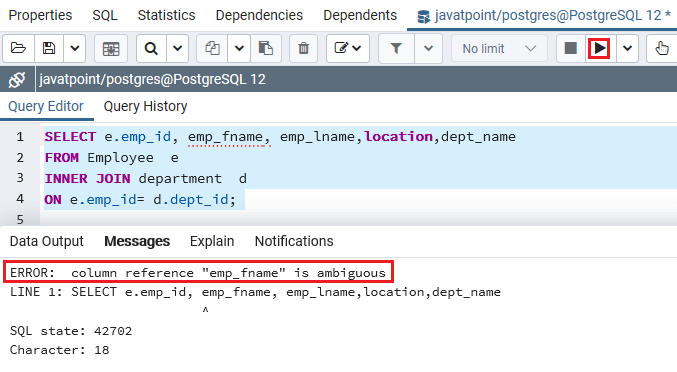 You can create a temporary name for a column or a table by using PostgreSQL Alias. Generally a temporary table is created when you perform self join. column_name: It specifies the original name of the column that you want to alias. alias_name: It specifies the temporary name that is assigned to the column. table_name: It specifies the name of the table. AS: It is optional. Most programmers will specify the AS keyword when aliasing a column name, but not when aliasing a table name. If the alias_name contains spaces, you must enclose the alias_name in quotes. It is acceptable to use spaces when you are aliasing a column name. However, it is not generally a good practice to use spaces when you are aliasing a table name. 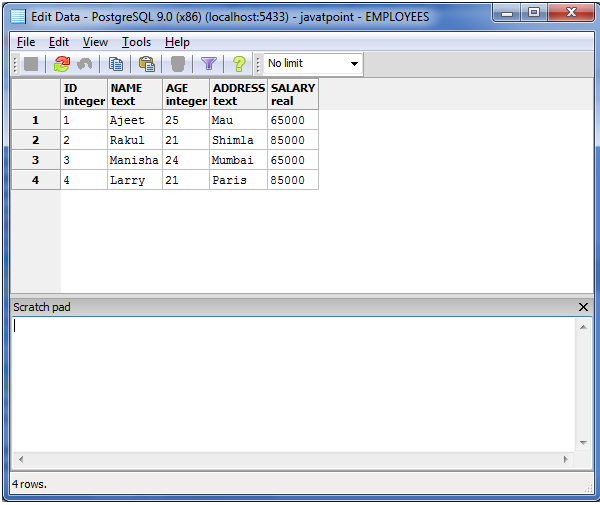 The alias_name is only valid within the scope of the SQL statement. table_name: It specifies the original name of the table that you want to alias. alias_name: It specifies the temporary name that is assigned to the table. Create another table "DEPARTMENT" having the following data.